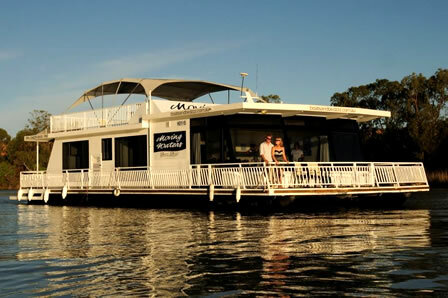 Two well appointed houseboats: 'The Murray Dream' - 9 berth unique Moored Accommodation and 'Moving Waters' - 10 berth Hire/Drive or Moored Accommodation. All only a 5 minute walk to the town centre. 2015 build, these two luxury, well appointed holiday villas accommodate up to 8 people in each and one villa has a private pool. 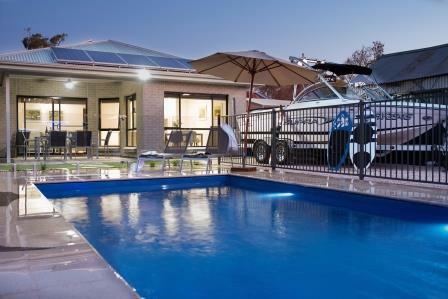 Located across the road from the River Murray and 'Boats and Bedzzz Houseboat Stays'.